​After leading off the second inning with a walk, Boston Red Sox outfielder ​Mookie Betts swiped his 30th bag of the season, becoming just the second player in franchise history to join the 30-30 club. The only other Red Sox player to his 30 home runs and steal 30 bases in a season? Jacoby Ellsbury back in 2011. 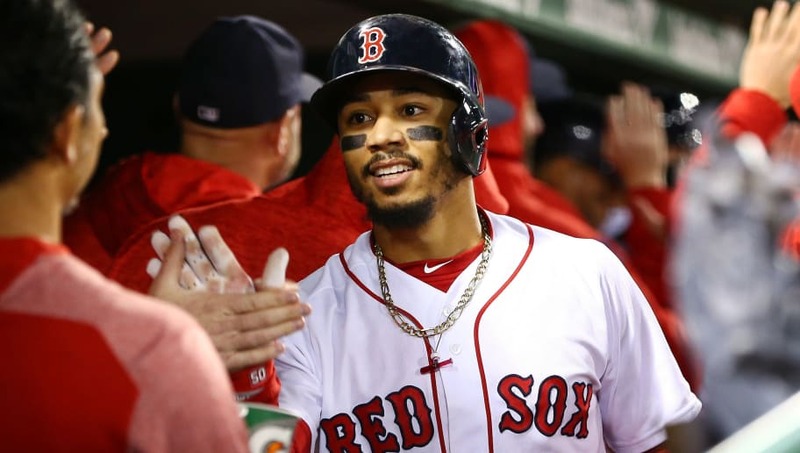 Mookie Betts is the second Red Sox player in history to join the 30-30 club. Gets a nice hand from the folks at Fenway Park. Joins Jacoby Ellsbury (2011). Betts joins even more exclusive company by becoming just the fifth player to hit over .333 in a 30-30 season, joining Willie Mays, Ellis Burks, Larry Walker and Vladimir Guerrero. Mookie Betts just joined the 30/30 club and is hitting .344. The ​front-runner to win the AL MVP is the 40th player to ever have a 30-30 season, and after nobody had done it since 2012 (Mike Trout, Ryan Braun), Betts joins Jose Ramirez as the only two players this season to accomplish such an incredible feat.